Heather joined the dental field in 2013, working in the orthodontics. She has spent the last four years, working as the patient care coordinator. Heather is the other voice on the phone helping with all of your needs. As a patient care coordinator, she also serves patients by welcoming each family as they enter the office. Heather also works with each family to make sure that the next appointment is scheduled. Heather is a native of Forest City, North Carolina, and she graduated from East Rutherfordton High School. She is currently engaged to Drelle, and she has two children, Avery who is 15 and Xavier who is nine. In her free time, she enjoys being with her family. She thoroughly enjoys being on a basketball court or football field watching her boys! She also loves to bake and watch movies. Hillary joined the dental field in 2011, and TS Orthodontics in 2012. As an orthodontic assistant, she assists patients through the entire orthodontic journey. Additionally, she assists with laboratory procedures. Hillary is a native of Black Mountain and graduated from Owen High School. After graduating from Dental Assisting school, she relocated to Jacksonville, North Carolina, to be with her husband (her high school sweetheart), Corey. Following his completion in the Marine Corps, they returned to Western North Carolina. Together, they have 2 dogs, Milo and Scout. Hillary thoroughly enjoys spending time with her friends and family and being outdoors. Laura has been in the dental field and working in orthodontics since September of 2016. As an orthodontic assistant, she assists patients through the entire orthodontic journey. 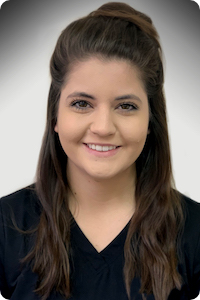 Emily has been in the dental field and joined the TS Orthodontics team in 2018. As an orthodontic assistant, she assists the patient throughout the entire orthodontic journey. Emily was born and raised in Morganton, NC. 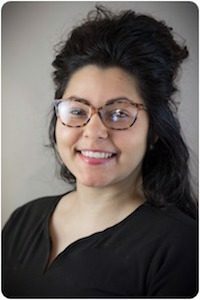 She graduated from Freedom High School and attended and graduated from Western Piedmont College in May of 2018, from the dental assisting program. In her free time, she enjoys being with family and friends. In the summer, you may find her hiking or enjoying the lake. 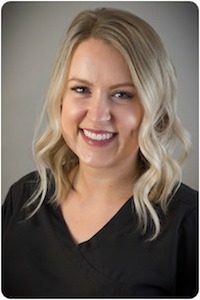 Taylor has been in the dental field since August of 2016, and began working for TS Orthodontics in 2018. As an orthodontic assistant, she assists patients through the entire orthodontic journey. Taylor is a McDowell native and graduated from McDowell High school. She is married to her high school sweetheart, Jared. They have two dogs, Leo and Niko. Taylor enjoys hiking, shopping, watching baseball and spending time with her family. 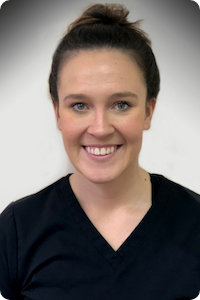 Cassie joined the dental field in 2014, and the TS Orthodontics team in 2018. 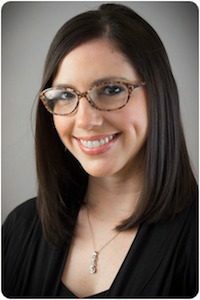 As an orthodontic assistant, she assists patients through the entire orthodontic journey. Additionally, she assists with laboratory procedures. Cassie was born in Asheville and grew up in Swannanoa. She graduated from Owen High School in 2012 and attended AB Tech. She graduated from AB Tech from the dental assisting program in 2014. 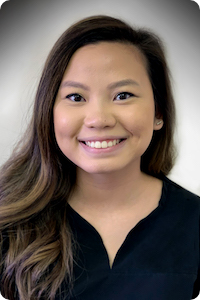 Jennifer joined the TS Orthodontics team in 2019. 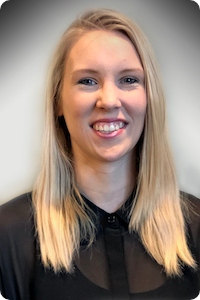 As the treatment coordinator, she serves patients by welcoming each new family and guiding them through the initial steps of treatment with Dr. Scanlan and Dr. Carlson. She also assists patients in overcoming obstacles that may prevent or delay beginning the treatment that ends with the confident and healthy smile that ALL TS Orthodontics “graduates” enjoy! Jennifer is a native of the North Cove Community in McDowell County, North Carolina. She is married to her wonderful husband David, and together they have a beautiful baby girl and three dogs. Jennifer enjoys spending time with her family, being outside, music and watching baseball. Go Braves! 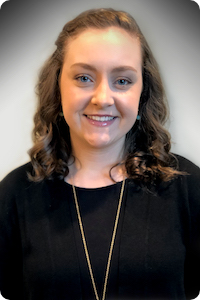 Taylor joined the dental field and TS Orthodontics in 2019. She is one of the voices on the phone helping with all of your scheduling needs. She also serves patients and their families with a friendly smile. Taylor is a native of Marion, North Carolina, and she graduated from McDowell High School. She is married to her high school sweetheart, Avery. Together they have a goldendoodle, Jax. Taylor has a love of baking and in her free time you may find her creating sweet treats for her friends and family.